The bedroom is one of the most important parts of the home as it serves as a haven from the rest of the world, as well as the rest of the house. You can relax in this space, read your book, meditate, cuddle with your partner or even watch your favourite television programme. This is a private space, just for you. This is why it's so important that your bedroom represents who you are as well as your passions and desires. 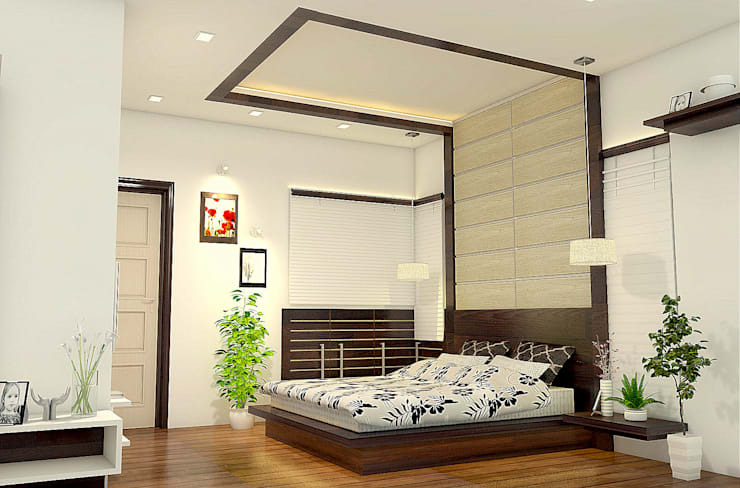 The decor and design of your bedroom should suit you, enveloping you in warmth, style and happiness. 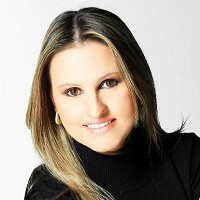 A good rest in your bedroom should leave you peaceful and envigorated, so that you can take on the world. This is why today at homify, we are going to show you 12 breathtaking bedrooms that will inspire you to make the absolute most of your own bedroom, because it shouldn't just be a place where you sleep! 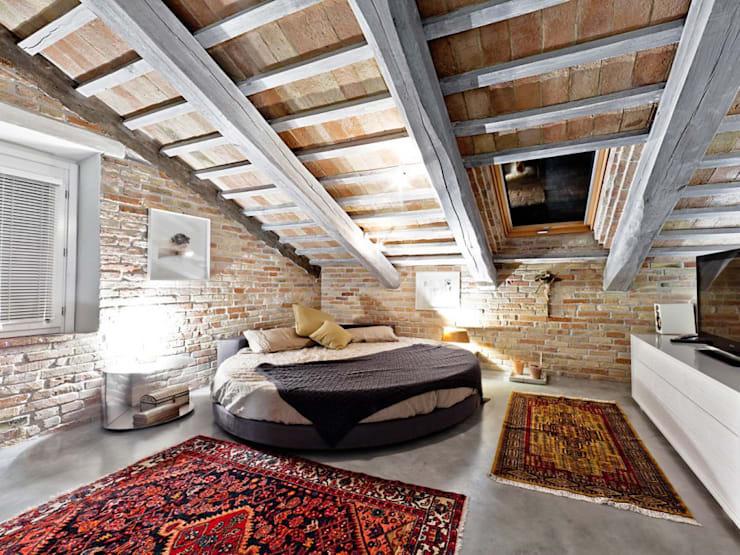 This bedroom is a fantastic Bohemian style, providing peace and tranquility to even the most active of people. A skylight is a wonderful addition to any bedroom, allowing you to see the stars at night—a very romantic notion. In the morning, natural sunlight will wake you up as well, which is incredibly healthy. If you like the Bohemian style, go for lots of deep and rich colours as well as a variety of cushions and throws on your bed. 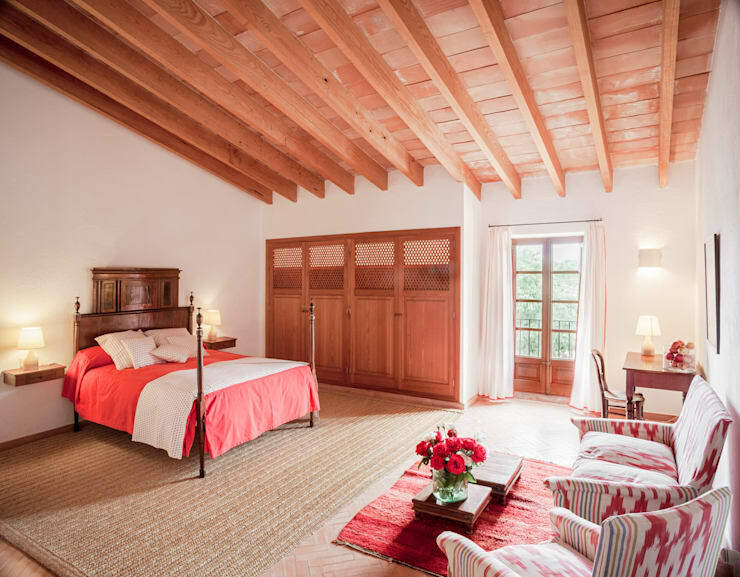 This is the type of bedroom that suits very traditional and very classic tastes. Architects Samara Barbosa have opted for very neutral colours in this space—sheer white curtains that envelope the bed and high-quality, beige linen. They've also included a plush rug and very intricate, elegant lighting in this space. The soft, white cushions are the cherry on top! This is an example of a very modern bedroom, where clean lines have been utilised. 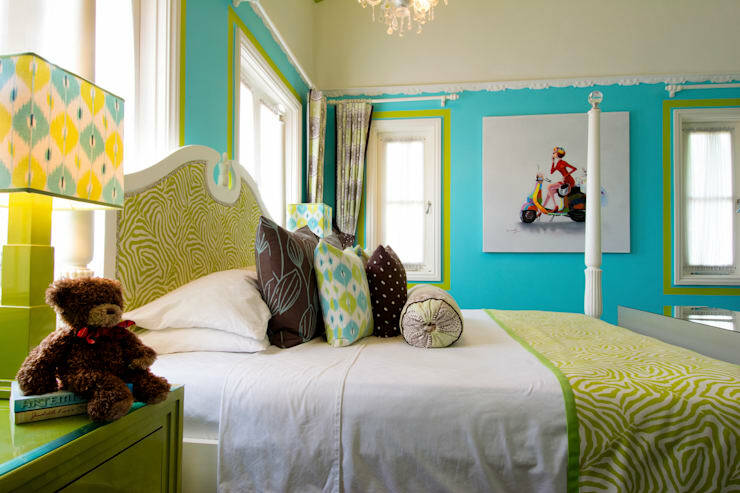 Tip: Blue creates a very peaceful and calming effect in a bedroom. 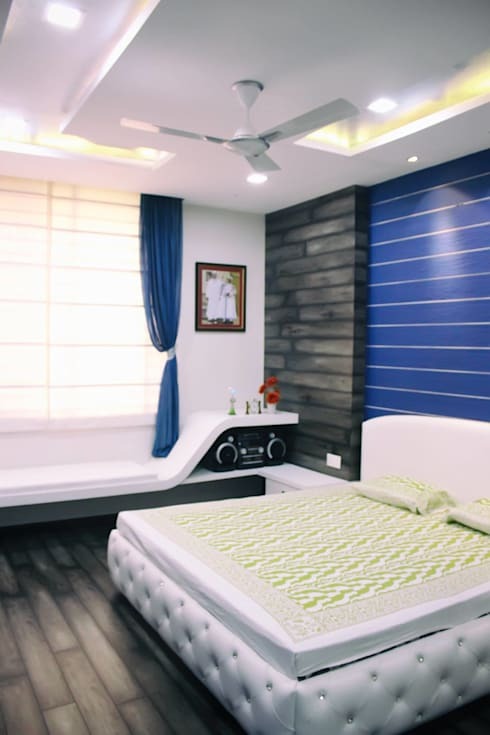 Paint your walls blue and pair with grey linen and natural, wooden floors and a bed base, like these designers have done. Include smart, modern lights and lamps and a very contemporary art piece and you're ready to go. If you're into the hotel look and feel then this is the bedroom for you and velvet is the key word. Pair a plain, grey room with rich velvet curtains and a velvet piece of furniture and you've got yourself a room worthy of royalty. Tip: Opt for an intricate and luxurious looking chandelier like this as the final touch in your lavish bedroom. 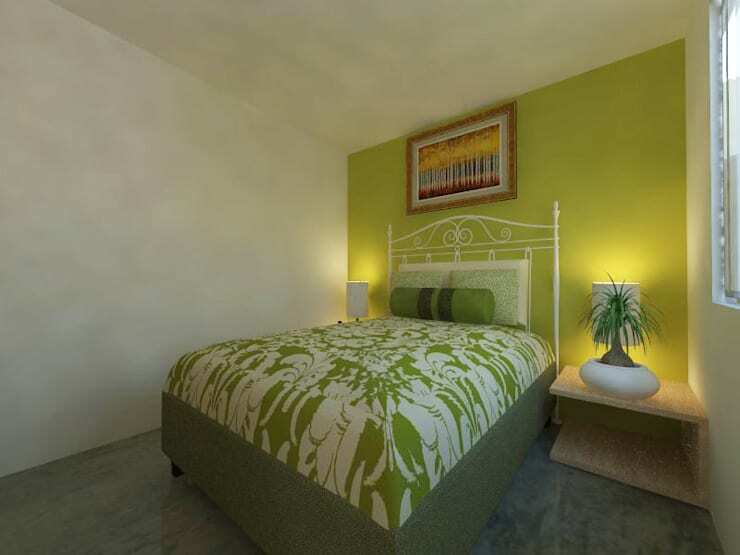 This is a bedroom for the meditating individual who likes a bit of balance and a bit of yin and yang in their lives. Black and white work together wonderfully in terms of linen and are very classic colours. Include a pot plant in our bedroom or a large vase of flowers for a bit of natural beauty. Don't you love this large headboard that extends all the way up onto the ceiling? Your bedroom doesn't have to be separated from the rest of the home with walls. Use curtains to create partitions, like in this design by dziurdzia projekt. This works wonderfully in smaller homes and allows the decor throughout the home to work together in harmony. 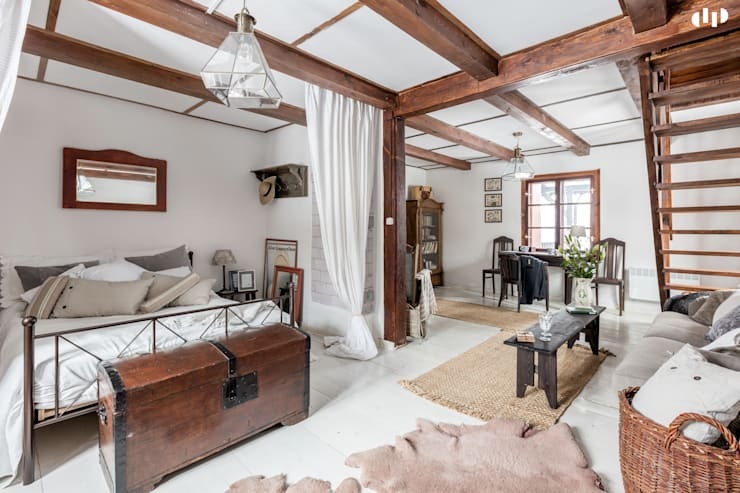 Tip: Enhance your ceiling beams so that they add character and warmth to your bedroom. Your bedroom doesn't have to be a typical grown-up bedroom with neutral colours and classic design. Add some colour! In this room you can see how the designers have used contrasting colours, blue and green, to really make the bedroom cheerful and exciting. If you go for this design, include a bit of white in the form of walls or linen, just to break up the colour a little bit. Go wild with cushions! Choose different patterns, colours and sizes to bring life into your happy place. Themed bedrooms are a definite must, especially if you live in a setting where it will truly work. 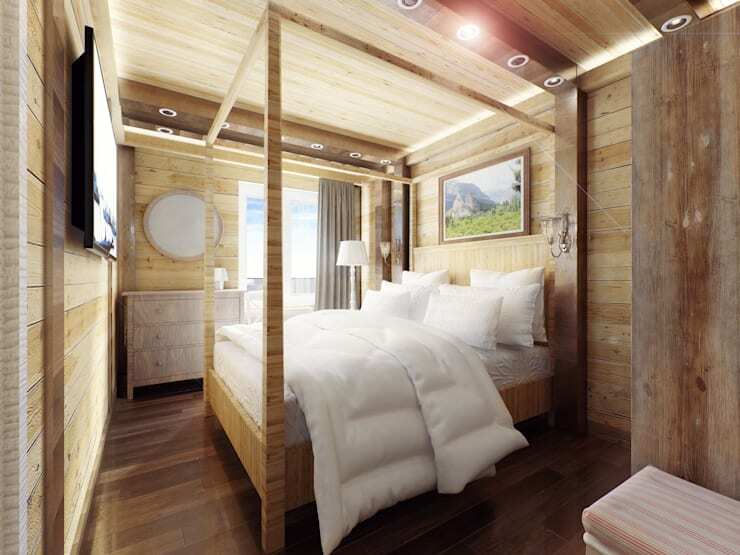 For example, this bedroom is by the sea so a seaside theme works perfectly. Your theme doesn't have to be too overt either, go for something subtle. 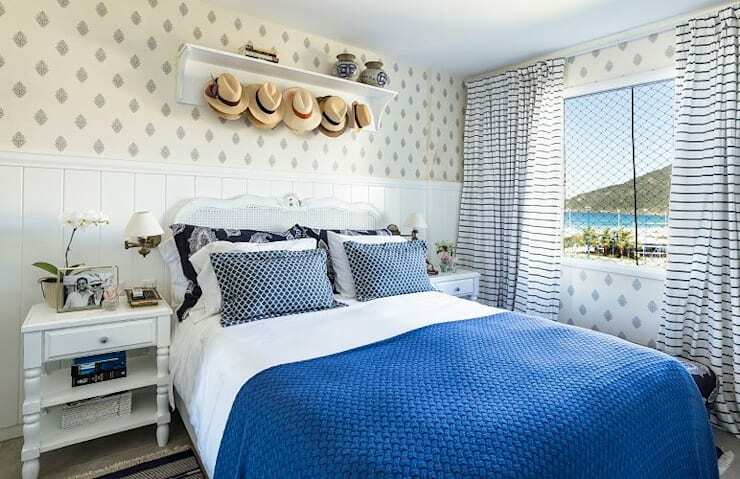 You can see how the designers here have chosen to add blue and white decor throughout this room, but have added a rack of sun hats above the bed, which gently bring this theme about. If you have a large bedroom, make it cosy by adding pieces of furniture and carpets into the space. Your bedroom can become its very own suit! Check out these: Secrets to a cosy bedroom. Lighting is very important for a bedroom. Opt for lamps and lights that dim, which will create ambiance in the bedroom. If colours and clutter aren't your style, go for wooden walls and floors and very simple linen in a neutral colour, such as white, grey, cream or beige. In a minimalist bedroom, you only want to include items that are functional. Store everything else out of sight. Modern bedrooms can also be very retro, with the right accessories and design. 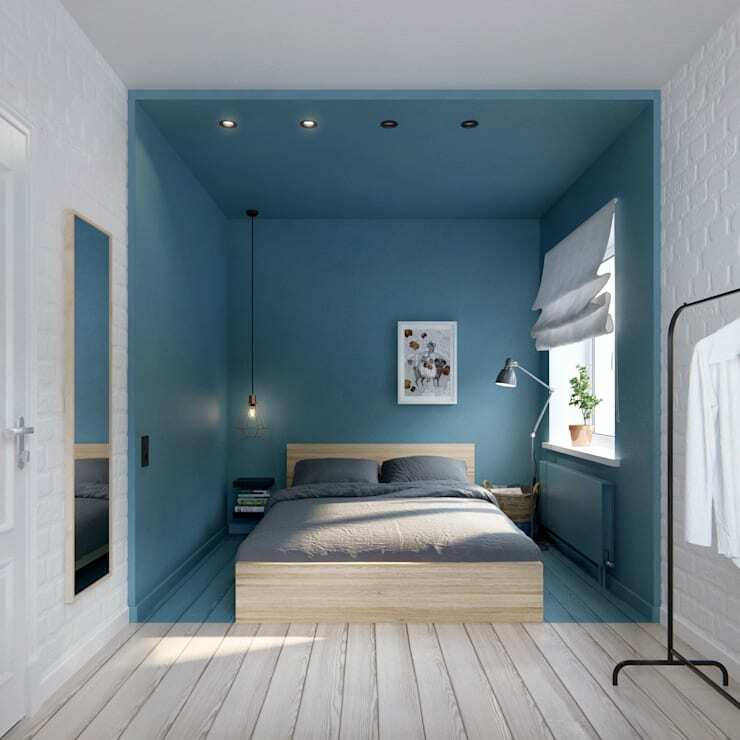 Go for bold, primary colours like the deep blue that is used in this bedroom. Include a record player, stereo system or jukebox to add a bit of style and trend to the bedroom. There's nothing like going into your bedroom and feeling like you're escaping into an island getaway. With gorgeous green colours and little plants, paired with the right lighting, you can really create a tropical haven. Make sure that you have large glass windows or doors to allow an abundance of sunshine into this space. Which is your favourite bedroom?